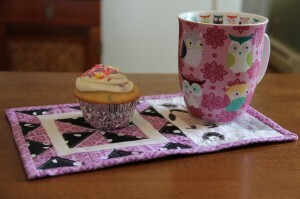 My cousin requested I make a mug rug for her friend’s wedding shower. 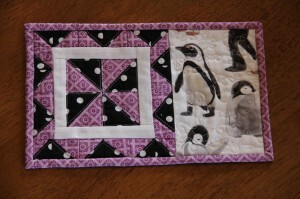 The friend likes purple and penguins, and she showed me a picture she had pinned of something she liked. I didn’t have the picture available, so I just (penguin) winged it. This is what I came up with. 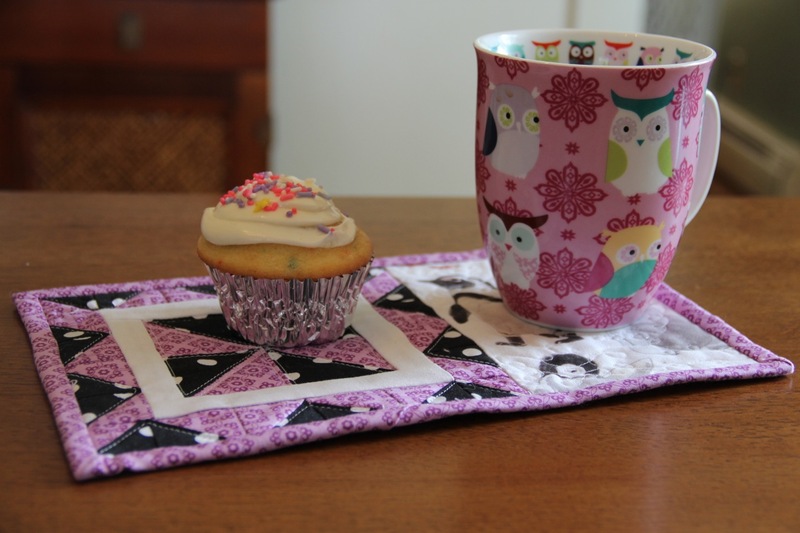 I practiced some free motion loops on the penguin side of the mug rug and outlined the shapes on the pinwheel side. The back is more of the penguin fabric (aren’t those baby penguins darling?) and the binding is a purple from Riley Blake. This was sent of by Priority mail earlier this week, so it should already be at its new home in time for the shower this weekend! I’m linking up with Thank Goodness It’s Finished Friday, hosted by Blossom Heart Quilts this week. But do you know what’s not finished? 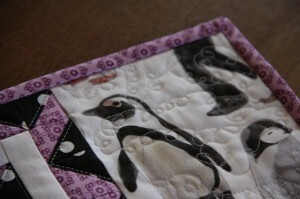 The Montana tutorial for the Road Trip Quilt Along. I modified the block a little to eliminate some weird quilt math that resulted from sizing up the block from 9 inches to 12 inches, so it’s taken me longer than expected. I hope to have it posted by the end of the day! 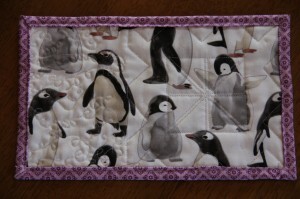 Please tell me you had to buy that penguin fabric and that you just didn’t have it in your stash! 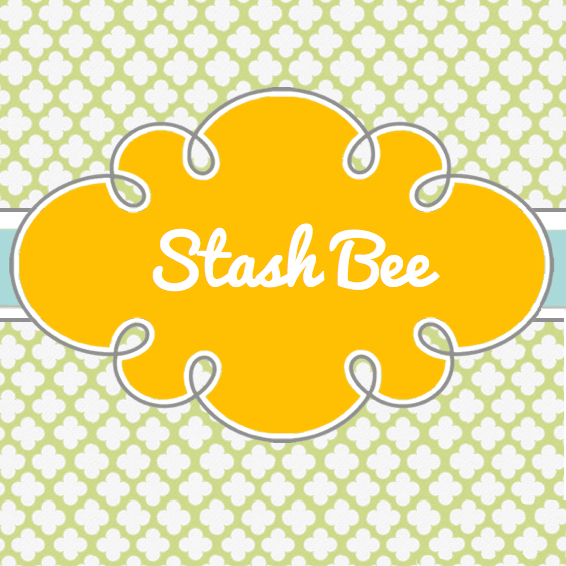 I’m new to quilting and cannot wait for the day I have a sizable stash. However, the accountant side of my brain might not be able to handle that either! Pretty finish! Naww, those baby penguins are just adorable!! Thanks for linking up!